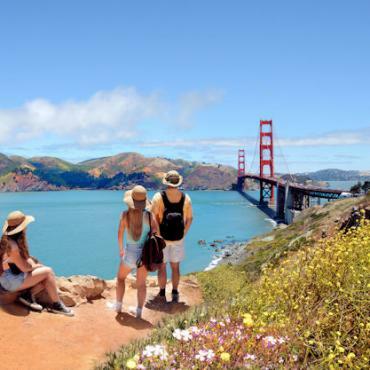 From the thrilling theme parks of Los Angeles to the natural wonders of Yosemite, the Golden State will captivate and entertain the whole family - guaranteed. Star Wars Fan? 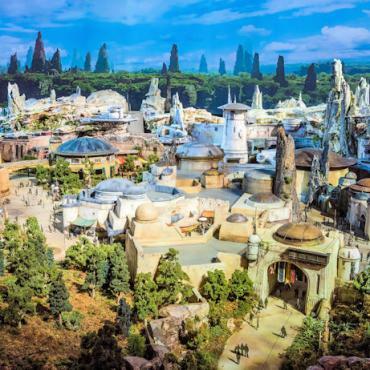 The hugely anticipated Star Wars: Galaxy's Edge opens this summer in Disneyland! Your California Family Adventure kicks off with three nights in the city by the bay, San Francisco. San Fran does not disappoint when it comes to fun stuff for the family. Hop on the historic cable cars for a ride up the city’s famous steep hills or stroll down the crookedest street in the world - Lombard Street. Be sure to hop on the ferry to eerie Alcatraz Island, an ex-penitentiary once home to many famous crooks and mobsters. You’ll also adore the city’s interactive museums like the Exploratorium and San Francisco’s most visited museum, the California Academy of Sciences. Set in Golden Gate Park,it appeals to varied interests and both adults and kids will learn something new while having fun in the living rainforest, aquarium, planetarium and natural history museum. Another fun way to see the city is to hire a bike and ride over the iconic Golden Gate Bridge to pretty Sausalito. Stop for ice cream and a photo with the San Fran city skyline in the background. Any sports fans in the family? If so, you're in luck, because the area is home to two pro baseball teams and a championship basketball team. See the SF Giants play right here in the city at Oracle Park, or head across the bay to Oakland to watch some A's baseball, Raiders football, or Warriors basketball. In the South Bay, you'll find 49ers excitement as well as pro hockey and soccer teams. A true, all-American experience for sure. If you’re looking for a spot of nature, take the ferry to Angel Island, often called the “Ellis Island of the West,” Angel Island was the West Coast holding place for immigrants seeking U.S. citizenship. Here you can enjoy nature trails and biking. Be sure to set up a picnic at Mt. Livermore and enjoy the stunning vistas over the bay. 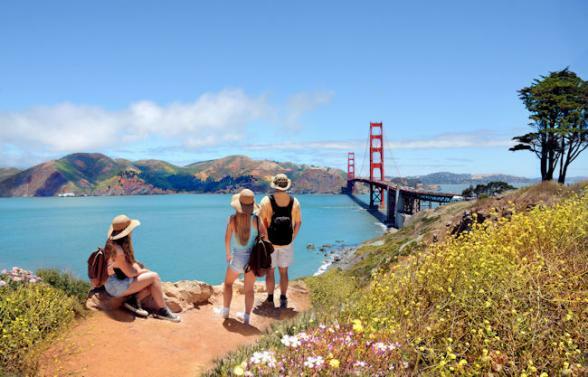 On the Coastal Trail you’ll enjoy bird watching, beaches and the best view of Golden Gate Bridge. In the evening dine out in the numerous family friendly restaurants on famous Pier 39, spy on the resident sea lions, watch the street performers or delve into the deep at the impressive Aquarium of the Bay. Travel through the heart of the Napa Wine Valley to Lake Tahoe, the largest alpine lake in North America and the clearest lake in the USA. There's some serious fun to be had here for families who love the great outdoors. Downhill mountain biking, kiteboarding, kayaking and rock climbing for starters! There's also pampering spas, paddle steamer cruises and gondola rides to the top of the Sierra Nevada Mountains. 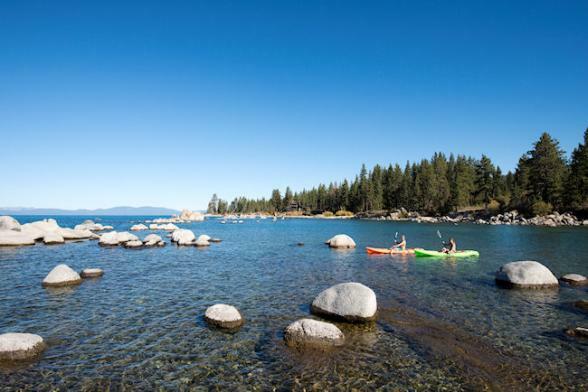 In the evening enjoy s'mores around the camp fire along Lake Tahoe's emerald shores, or join a stargazing tour. Often ranked in the top three National Parks in the USA, Yosemite National Park features 1,200 square miles of sheer awe. Towering waterfalls, millennia-old Sequoia trees, striking cliff faces and some of the most unique rock formations in the United States. You'll feel a real sense of wilderness adventure here in our tucked away rustic cabins. Pull on on your walking boots and head with the family to view El Capitan, a massive granite rock formation rising 3,500 feet over the valley floor. A five mile trek will take you to the top of Glacier Point, one of the most famous attractions in the park, the views are simply breathtaking. Be sure to head to Yosemite's Half Dome - known as 'the most photographed place in America' and take a short stroll to the base of cascading Bridal Falls. 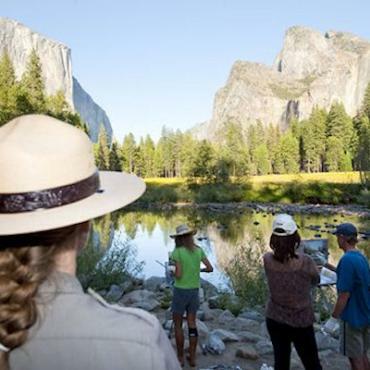 For fun stuff to do in the park that's slightly less energetic, hop on the historic Yosemite Sugar Pine Mountain Railroad for a scenic four mile loop through the forest, try your hand at gold panning, sign up for a morning mule ride or earn your Junior Ranger badge on an official Park Ranger programme. 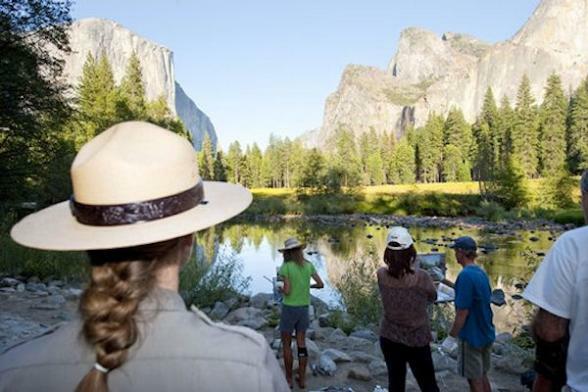 Camping and ranch options are also available in Yosemite National Park area, please call Bon Voyage for further details. 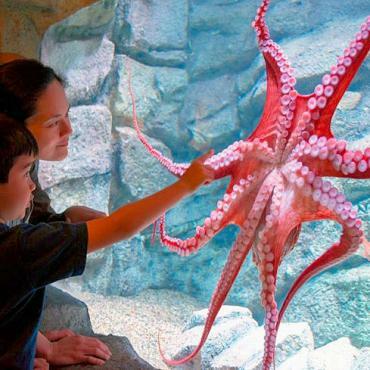 One of California's top attractions calls Monterey home, the family friendly - The Monterey Bay Aquarium. 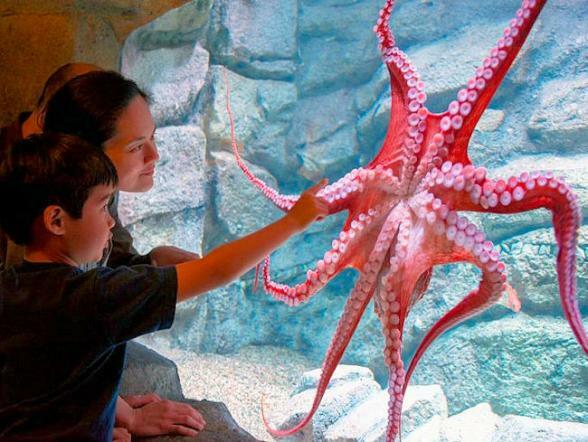 This world famous aquarium is located at the ocean's edge on Cannery Row and is your window to the wonders of the deep! At certain times of the year sleepovers are also available, please ask your Bon Voyage consultant for details. No visit to this region would be complete without a visit to the famous 17 Mile Drive. Located on the Highway 1 Coastal Route between Carmel by the Sea and Pacific Grove, this drive takes you through one of California's most exclusive communities - Pebble Beach. The ndless scenic vistas, crashing surf and wild beaches are a sight to behold. You can also opt to experience this drive by pedal power with an excursion on electric bikes. Whale watching is a popular family pastime in Monterey County and boat trips are readily available, but a cool way to take to the water here is by kayak or standup paddleboard. Expect to see sea otters, seals and other marine life on this thrilling ocean adventure. Bon Voyage would be delighted to pre-book these experiences for you. Stock up on snacks and hit the road today. 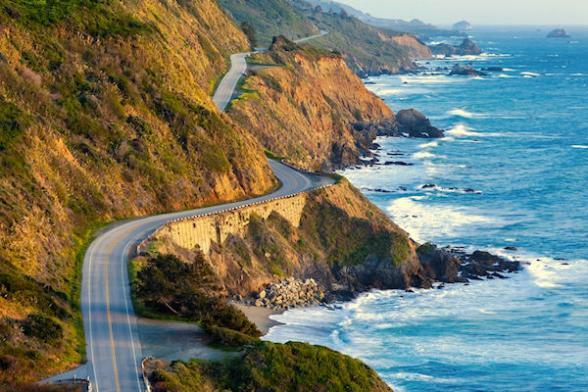 Take it slowly as you'll be cruising along one of the world's most scenic drives through the incredible Big Sur region on the Pacific Coast Highway. 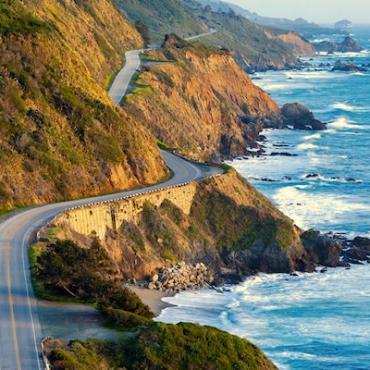 Few stretches of coastal road anywhere on Earth can compare to this winding route that hugs the coast. Forested mountains slope off into azure blue water and jagged rocks jut out of the crashing surf. Be on the lookout for sea otters basking in the sun, migrating whales and bald eagles. If time allows, stop at Pismo Beach and take a sand buggy ride out into the dunes, or visit historic Hearst Castle. Built by William Randolph Hearst in 1919, it's a National Historic Landmark and offers tours throughout the day. Your family are sure to adore Santa Barbara! Set in an area of the California Central Coast referred to as the American Riviera, this Moorish seaside city is bursting with family activities. We'd recommend getting acquainted with the city by pedal power, there are endless bike paths available, the coastal ones are particularly scenic, and take you to lesser visited beach areas. You may also want to consider taking to different wheels and hire roller blades or four-seater beach cruisers for exploring. Just off the coast of Santa Barbara, yet worlds apart, Channel Islands National Park is known as “the Galapagos Islands of North America”, as the islands offer refuge to a menagerie of rare and unusual species found nowhere else on Earth. Made up of five islands, there’s nothing here except beautiful beaches, cliff faces, seals, birds, canyons and sea caves to explore on kayaks. Bon Voyage would be happy to pre-book day trips to the largest of the islands, Santa Cruz, where the family can enjoy guided hikes with a naturalist, snorkelling and swimming amongst the kelp forests. Back on land, in nearby, Carpinteria, private 90 minute surf lessons are available for all ages and levels of experience. Continue along the California coast stopping for lunch and celeb spotting at Malibu before arriving into Los Angeles. Choosing where to stay with your family in Los Angeles area can be quite daunting. Do you go for Hollywood, Beverly Hills, Downtown, Anaheim, Santa Monica or further down the coast to Surf City, USA? That's where we can help. Let us know a little about your family and we'll be able to match you to the best region. 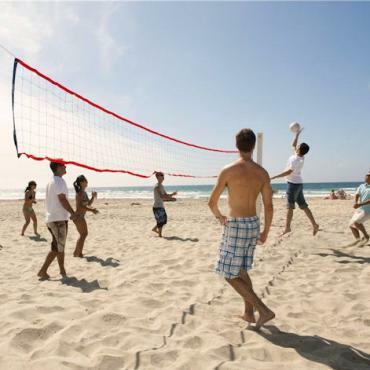 LA offers families more activities and adventures than many small countries. 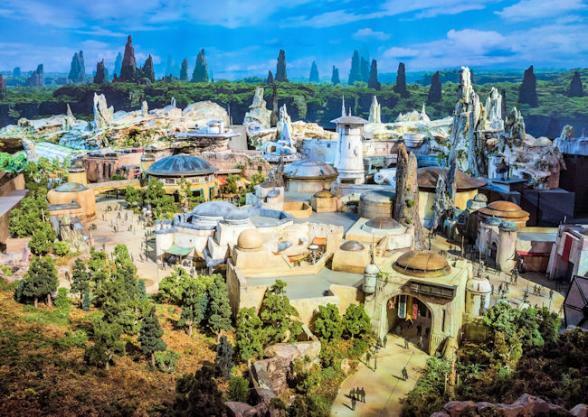 You'll want to hit the theme parks and check out the Wizarding World of Harry Potter at Universal Studios AND Star Wars: Galaxy's Edge at Disneyland. Don't forget Knotts Berry Farm and Six Flags too! The kids will adore the TMZ Hollywood Gossip tours, surfing from Santa Monica beach or ticking off the stars on the famous Hollywood Walk of Fame. Scratch below Tinsel Town's surface and explore the lesser known family attractions such as La Brea Tar Pits and Museum. At this ice age fossil site, the kids can take an excavator tour of the tar pits to view the scientists latest finds. The Griffith Observatory in Griffith Park offers free stargazing programmes each evening and is home to the Los Angeles Zoo and Botanical Gardens. Want to end your trip with an authentic American experience? How about a private tour of LA in a cool 1966 convertible Cadillac.....cruise along Sunset Boulevard, view the Hollywood sign and check out Rodeo Drive. We can make it happen! Make the most of your last morning in the Golden State before your early evening flight home. Not ready to go home? 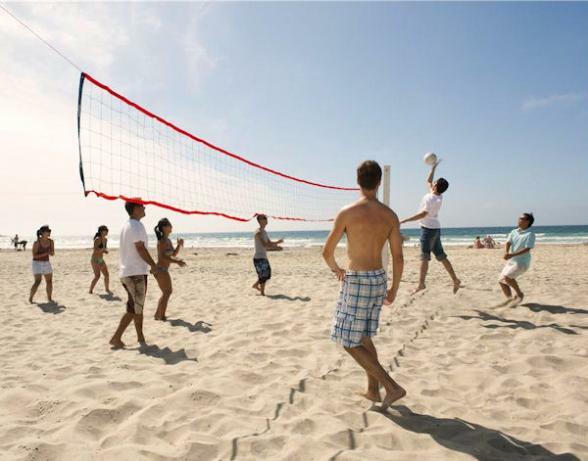 Extend your stay with a few extra days in sunny San Diego or Palm Springs? How about a stopover in New York, Chicago or Washington on your way home? 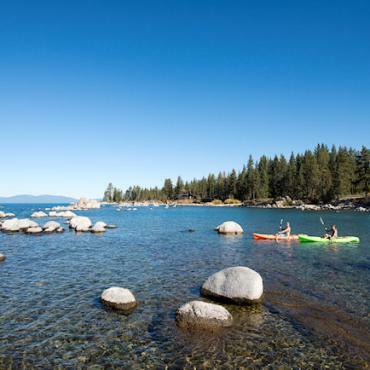 All Bon Voyage holidays are tailor-made, call the experts to discuss your ideal California family adventure.